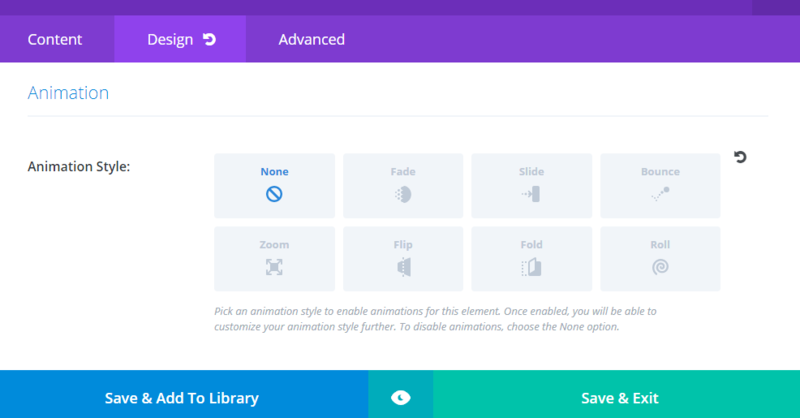 The latest Divi update has included wow animation library to the builder. If you are one of our child theme users then you don’t need to use wow animation library we have integrated to our child themes. You can still use child theme animations that aren’t included with Divi builder. 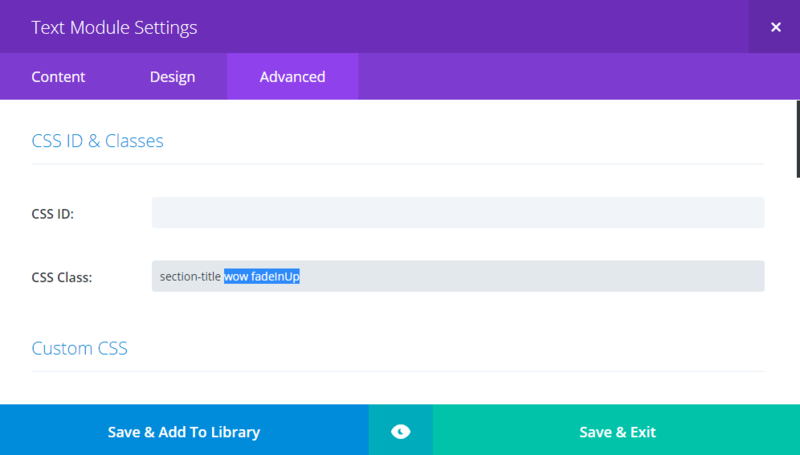 In order to use these new Divi builder animations in a child theme imported page you have to first remove any existing CSS classes that calls our child theme integrated animation engine. If any of child theme imported pages has animations then it’s most probably done using integrated animation engine. You can easily remove these animations and use default Divi builder animations instead. As you can see in the screenshot, please check CSS class field under advanced tab of Divi builder modules to find wow animation CSS classes we have given. Just remove the class and then adjust the animation from Divi builder itself. Please note, these classes only affect to child theme imported demo pages. It does not affect to new pages so you can use default animations safely. How does this affect our products? * In Ultimate Divi Builder Addons you no longer need to use wow animation classes in the plugin as builder includes almost all animation effects. You can still use these effects on other page builder tools or in your child theme’s template files. * You may want to remove wow animation classes added to Divi Resume Free Child Theme. You can find them in home page content modules under advanced tab. You can also remove footer animations from child theme’s template file. This is not necessary if you are happy with the child theme’s default look. * In Divi Creative Child Theme we only added wow animation classes to ‘about’ page. You can still use those default animations without changes since there is no apparent conflict. * Divi scroll child theme is a bit affected by this new update. You may notice some slowness/less fluidity in scrolling and slide in animations in child theme’s default home page. This can be easily fixed by removing wow animation classes given to fullwidth header module’s advanced tab. Then you can configure animations with Divi builder itself.